I’ve sat on commenting on this for a little while now, but I think it’s appropriate that I give attention to this important story. I’ve collected a few news reports and material to give readers a sense of the story. I want to acknowledge that I got most of these sources from the facebook page of fellow Clark alumni Chris Caesar, a personal friend of Jake, that’s been cataloguing the news reports as they appear. 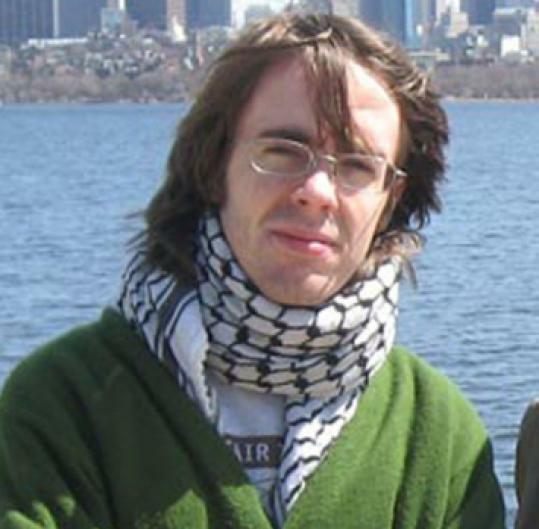 ANKARA, Turkey – A freelance journalist with ties to the New Hampshire Seacoast and Boston has been arrested in what appears to be a politically-motivated act of retaliation by the Turkish government, watch-dog groups reported Friday. Jake Hess, 25, formerly of Hampton, was detained by Turkish police after publishing a series of articles critical of the Turkish government’s treatment of Kurdish refugees. Officially, the government alleges Hess has collaborated with the Kuridstan Worker’s Party, or PKK, a militant group outlawed by the Turkish government. Hess’s attorney, Serkan Akbaş, said Hess “wrote several articles that angered the authorities,” adding that the timing of the arrest “clearly shows that they got annoyed with his articles.” His latest piece (http://original.antiwar.com/jake-hess/2010/08/04/kurdish-refugees-were-not-living-just-not-dying/print/) for the Inter Press Service news agency – examining the displacement of civilians after Turkish attacks – was published on August 4. SULEYMANIYA, Iraq – Compared to most internally displaced Kurds in northern Iraq, Shamal Qadir is almost lucky. Since the Turkish army devastated his village, Kuzine, in a bombing raid Jul. 1, he’s been living in a schoolhouse, where room temperatures are comfortable and basic amenities are accessible. Qadir is one of roughly 6,500 people who have been driven from their homes by Turkish and Iranian bombings of Kurdish border villages in northern Iraq since May 24. About two-thirds of the displaced are currently living in dusty tent camps scattered across barren mountain ranges, their essential needs barely being met by international aid agencies and local authorities. Hess was detained late Wednesday on allegations of collaborating with Kurdish activists accused of having links to terrorism, his lawyer said. Lawyer Serkan Akbas said Hess will probably be deported rather than charged or jailed for an extended period. Hess is accused of collaborating with the Union of Kurdistan Communities, the KCK,, which is allegedly an offshoot of the Kurdistan Workers Party, known as the PKK. Akbas said Hess had not been taken to a court for questioning — a sign he would be deported. Kurds, who make up roughly 15 percent of Turkey’s population, have increasingly been demanding cultural and social rights. Local journalists who pursue stories on problems facing the Kurdish community are routinely harassed by authorities. Hess’s case highlighted the state’s continued uneasiness with reporting on the issue despite efforts by Turkey’s ruling party to build bridges with the Kurdish minority. The Committee to Protect Journalists and Journalists Without Borders have both issued statements calling for his immediate release. He is a legitimate journalist of extremely high integrity. The idea that he would have any alliance with, or sympathy for, a terror group is utterly absurd. Yet he is currently being held at the Diyarbakir Anti-Terrorism Branch. Please take just a minute to call the Turkish Embassy in Washington DC on +1 202 612 67 00 +or email them at contact@turkishembassy.org and politely explain that you expect this outstanding US citizen to be treated with decency, and released at once. A country that calls itself a democracy should not be imprisoning journalists for telling the truth. Everyone should stand in solidarity with Jake Hess and other journalists bullied by those fearful of truth. U.S. diplomats say Hess rejected their offer of assistance after he was taken into custody.